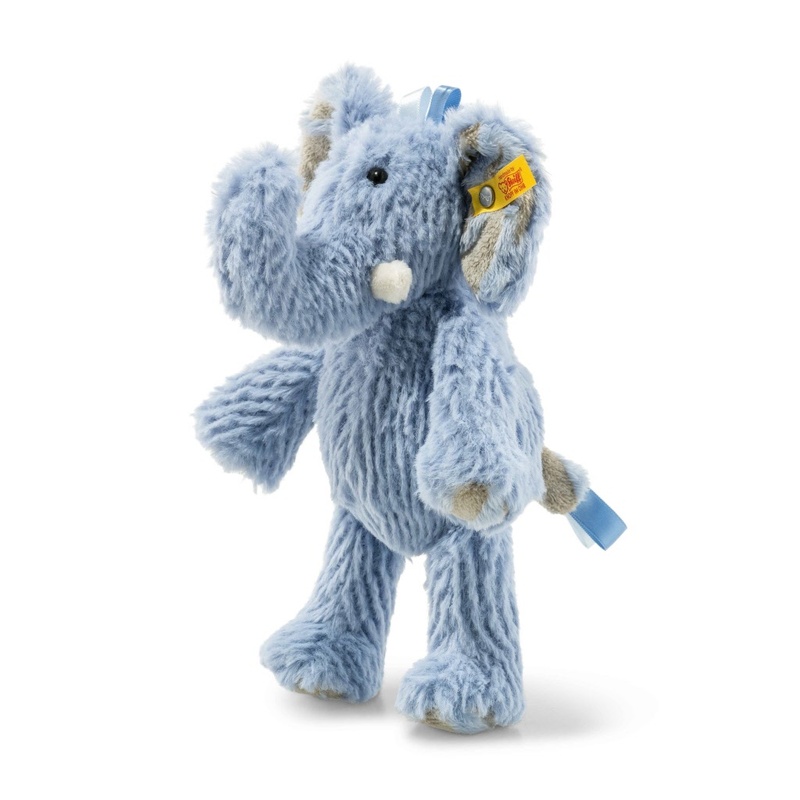 Steiff EAN 064869 Earz Elephant Soft Cuddly Friends, 30cm. Earz Elephant gives warmth and comfort. He has ringlets attractive to kids and is soft and warm which provide comfort and softness. It's a wonderful present on many occasions. It is made out of blue supersoft plush and stuffed with synthetic filling material. It has safety eyes and is machine washable at 30° C. It is with CE mark and stainless steel "Button in Ear"